At Langley Dental Practice we are pleased to be able to offer wide range of dental treatment that is independent of the NHS. Many patients do not like the look or feel of traditional metal amalgam fillings. For these patients we can provide an alternative hi tech white composite filling material. This tooth coloured material has properties that are comparable with our own natural teeth in terms of strength and flexibility. The cosmetic properties of this material are far superior to normal amalgam and many patients regularly request this type of dental treatment. Placement of these fillings requires a higher degree of skill, technique and time. Prices for our white fillings start from just £60. Modern technology has now allowed the production of metal free crowns and bridges. These provide a highly aesthetic alternative to the traditional metal backed crowns and bridges. They have excellent properties in terms of flexural and compressive strength. We are also able to provide high strength high-quality aesthetic veneers and ceramic inlays. Prices for these types of restorations start at just £275 per unit. We would be delighted to discuss all the various treatment alternatives that are available in order to improve your dental health, well-being and confidence. A detailed examination including X-rays and a written treatment plan is just £50. Please contact our reception team on 01616432428 for further details. 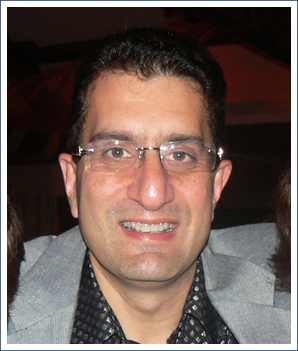 If you want to book an appointment with Tariq Drabu and his Langley Dental Practice, you can call Tariq Drabu on 0161 643 2428. You can also contact Dr.Tariq Drabu through the contact page of this website. © 2012 - 2018 Copyright Tariq Drabu. All Rights Reserved.